March 4, 2011 6:30 am By Lori Post contains sponsored/affiliate links and I get commissions for purchases made from links. As an Amazon Associate I earn from qualifying purchases. The countdown to summer vacation is on at our house! With three months to go, the kids are getting a little antsy and bored with the same old routine. So today, I decided it was time to throw a few new things in the mix! 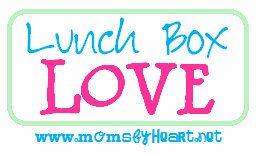 With that in mind, I am starting a weekly series called Lunch Box Love. I’ll feature free printables and lots of easy and affordable lunch ideas that will make your kids the envy of the cafeteria. First up is a set of free lunch box love notes! You can stop over HERE to get yours. 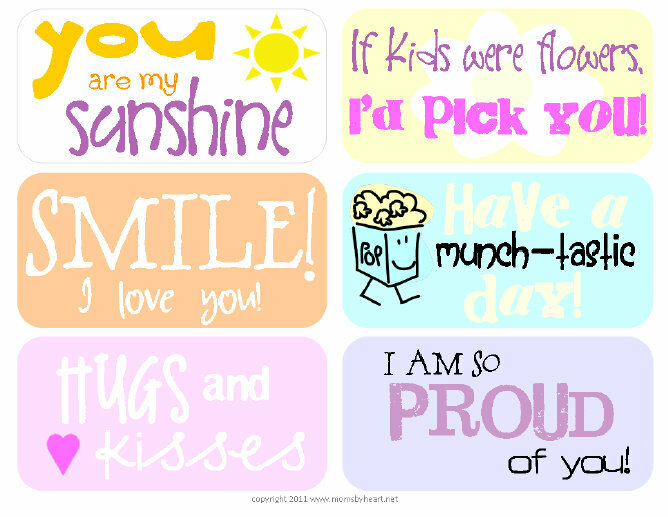 Print them on card stock or regular paper and sneak them into their lunches for a fun surprise! Tune in next week for some fun snack recipes! Thanks for sharing! I am tewwting this post. I am hosting a giveaway from hair candy for girls.$15 store credit that lets you select flower clips, ziper clips, pettiskirts, bottle cap necklaces and more from the store. Such a cute idea!! I have a daughter in kinder and she is going to love the surprise note tomorrow! I just found your blog through Stacy's @Not Just a Housewife, and I love it! I am sure lots of my friend's will love it too! these are fantastic! I can't wait to feature them on Tip Junkie Printables. Very cute, I shared them on my Thrifty Homemaker FB page. Such a cute idea! I love a good deal and just stumbled upon your blog. It is my new favorite! Thanks for all the awesome tips. That's right! You were featured today over at Today's Top 20!